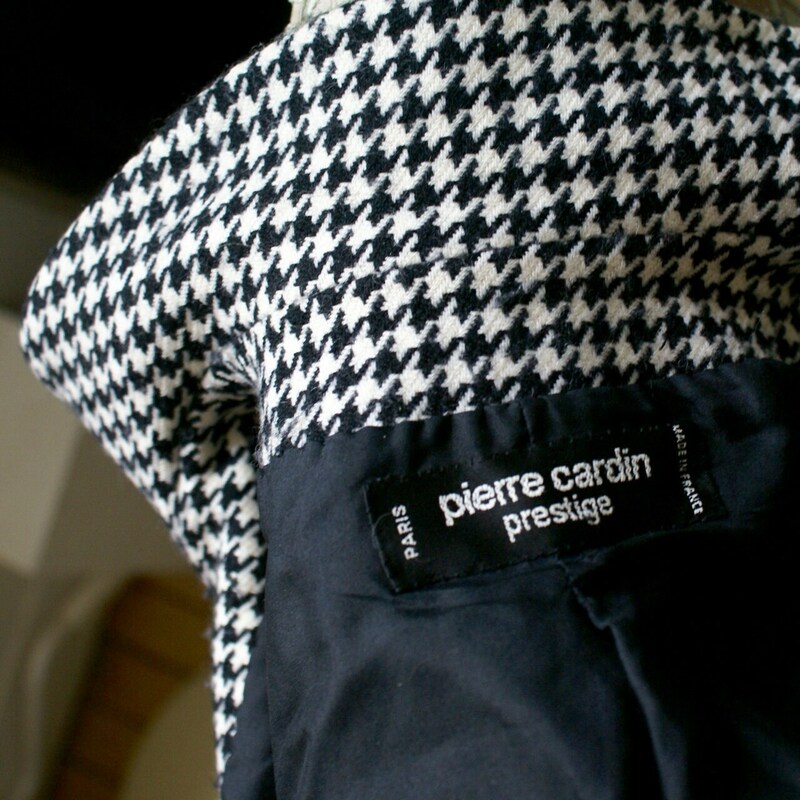 Pierre Cardin prestige wool gorgeous jacket pattern chicken feet. 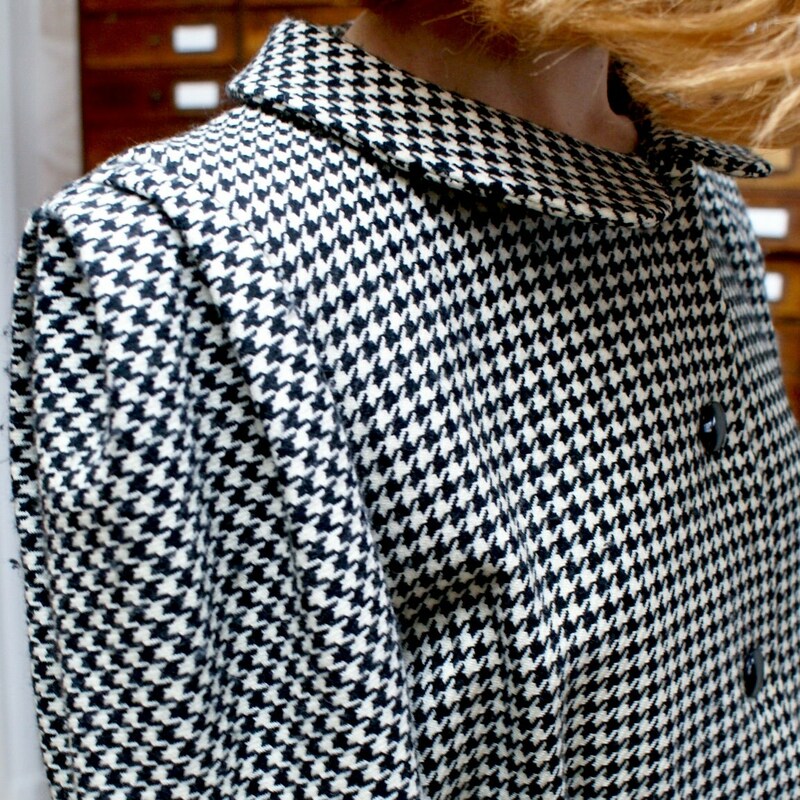 Snap buttons, slit on the sides, the waist is gathered. Perfect vintage condition! A beauty! Size 36-38 french.